Flax seeds are small, hard seeds either gold or brown colored and are rich in fiber. 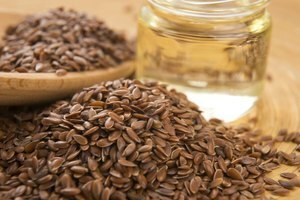 The soluble fiber content of flax seeds is primarily on the seeds’ outer coatings. Boiling the seeds softens the fiber and releases it into the liquid, which when left to stand, gels. Flax seeds are boiled to produce flax gel. The boiled seeds may be eaten, used in baked goods or in cereal, or tossed away. Flax gel may be used as an egg substitute for vegan recipes, where it helps bind ingredients and keep them moist. A 3-tablespoon serving of the gel is equivalent to one large egg. 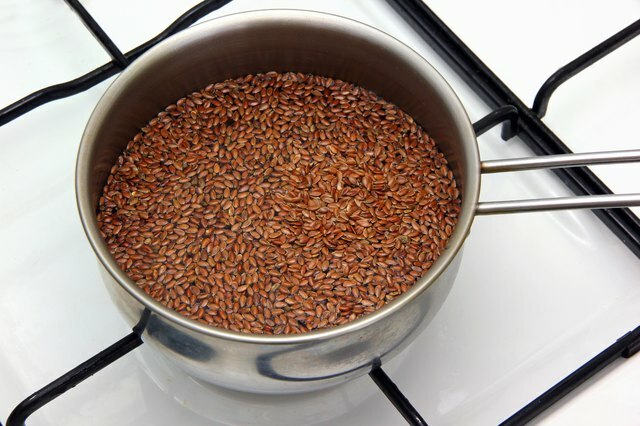 When used as an egg replacement, flax gel, unlike moistened flax meal, does not cause baked goods to brown more quickly as the hulls of the seeds are not used. Flax gel also may be used as a nutrient booster, adding extra soluble fiber to food such as smoothies or soups. Boil whole flax seeds in a small amount of water to make flax gel. Use a 1-to-3 ratio of whole seeds to water. Add the seeds to the water and bring it to a rolling boil. 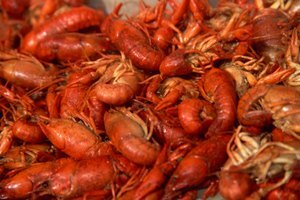 Boil until the seeds soften, which is roughly 10 minutes. Strain the liquid into a heat-safe container, removing the seeds and setting them aside for another use or throwing them away. 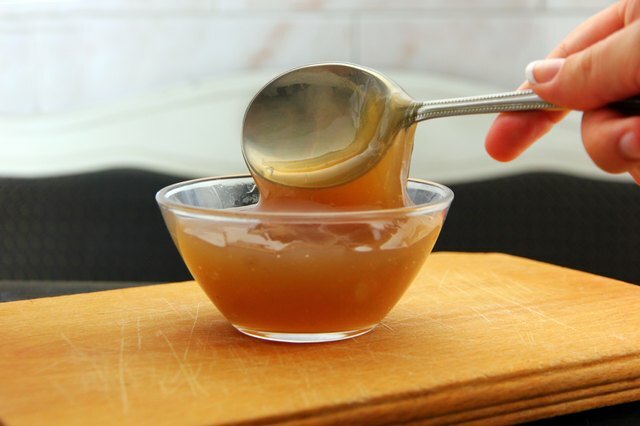 Cool the liquid to room temperature or in the fridge before using the gel in a recipe. 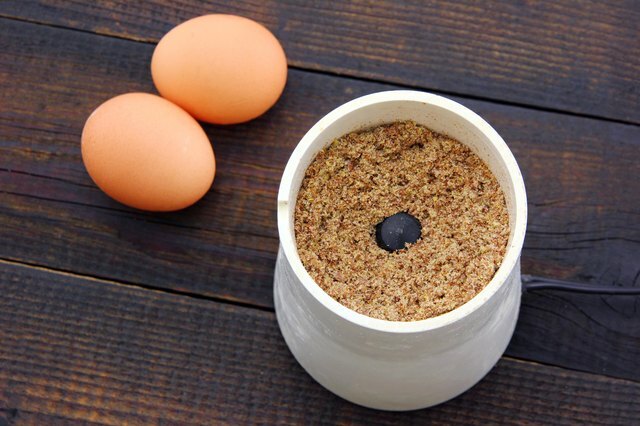 In addition to boiling flax seeds, you may use flax meal -- ground flax seeds -- as an egg replacement. Use a 1-to-3 ratio of finely ground flax seeds to water, stirring and letting it sit for five minutes before using it as an egg replacement. Flax meal may be purchased in grocery and health-food stores, but it is easy to make your own as needed, grinding whole seeds in a spice grinder or high-powered blender. The boiled flax seeds still contain healthy omega-3 fatty acids and other nutrients, so consuming them rather than throwing them away after boiling is advised. Sprinkle the seeds onto muffins or bread before baking. The heat from cooking dries out the seeds so they will produce a nutty crunch. 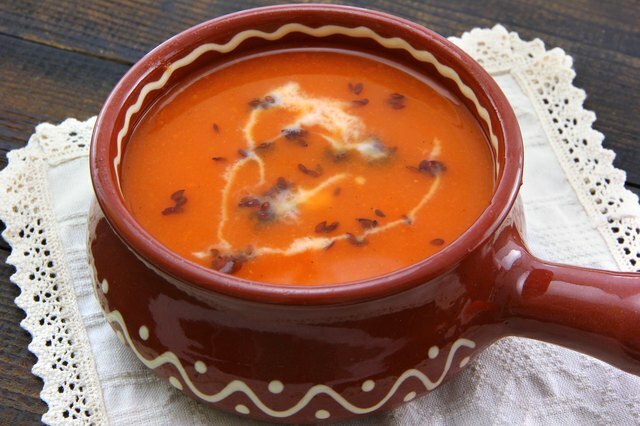 The seeds can be added directly to soups or smoothies. The boiling process may make seeds easier for your body digest as they are much softer. Whole flax seeds are hardy and can last for a long time as long as they are kept in an airtight container. Stored this way, whole seeds stay fresh for up to one year. Flax gel, once cooled, can be stored in a sealed, food safe container in the fridge for up to a month, or it can be frozen for upward of a year. Ground flax goes rancid much more quickly, developing a bitter, unpleasant taste and smell. 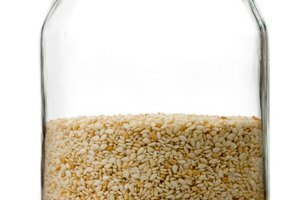 Store ground flax seeds in an airtight, dark-colored container in the fridge for no more than 90 days. the kitchn: Egg Substitues in Baking? Try Flax Seeds!